Planning an end of the year party, school trip/fundraiser, or corporate team building event? 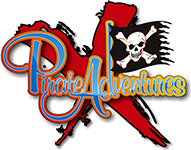 Choose Pirate Adventures, the place for a perfect outing! We offer multiple packages with a variety of options and activities to suit any budget. 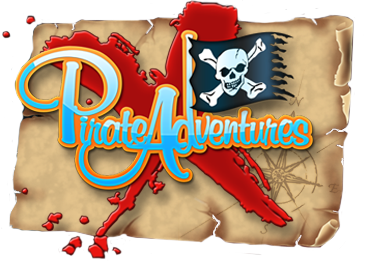 At Pirate Adventures, learning is always fun! Simply bring your class out for a day of fun and education! We will work directly with you to tie our adventures to a particular segment in your curriculum. For example, we can tailor a section of our exciting trip along Vancouver's historic false creek waterway to impart a message that suits your learning objective. In any case, we will be pleased to work alongside your teaching staff to incorporate elements of your curriculum, adding educational value to this exciting trip. 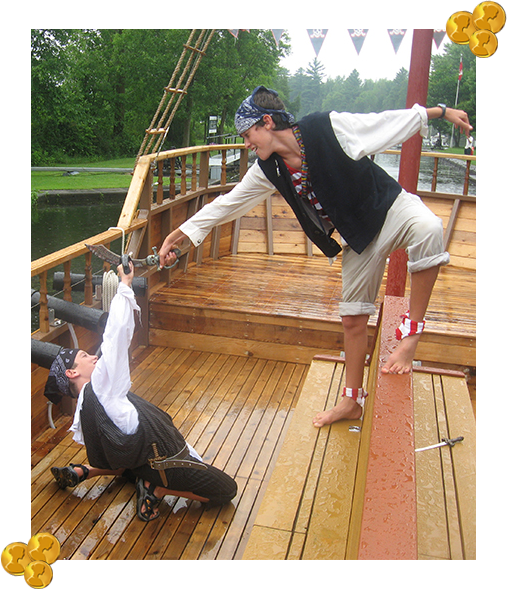 Make your daycare or camp stand out by bringing your crew to Pirate Adventures for a day trip everyone will rave about. 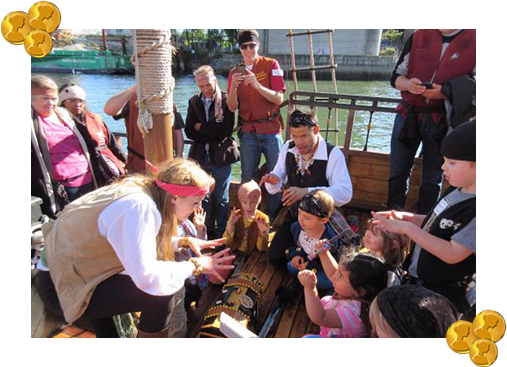 Begin with a sail aboard our ship and then spend a day outdoors in historic Vancouver! Vancouver is an amazing place for an outing — you can enjoy the beautiful waterfront, take a walk in the nearby nature trails, explore the rich history of Granville Island, or take in our fabulous museums. We will work directly with your coordinator to facilitate a great day that will have your children wanting to return year after year. Our team building cruises are specially designed to foster a working relationship between co-workers through a competitive series of fun challenges. After all, pirates invented team building! Our laid back, non-threatening environment often brings out strengths not typically realized in the traditional work environment. Of course, you could just come out and have a great time with a pre-sail dinner at one of Granville Island's wonderful eateries, followed by one of our standard sails — it's all fun! We can tailor a package to your staff's needs. Whether you are a religious group, sports team, special interest group, or just a bunch friends getting together, we have something for everyone. Our pirates will tailor the sail to your specific desires, working directly with you to ensure a memorable experience. Give us a call for additional information and discuss how we can support your group. Wedding packages are available as well — please call for more information.